Dr. Corriveau received his Bachelor's degree in 1987 from the School of Pharmacy at the University of Utah, and his Dental degree in 1994 from the University of Illinois at Chicago. 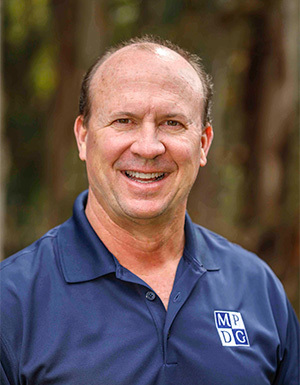 He joined the Monterey Peninsula Dental Group as an associate dentist in 1995 and became a partner in the Group in 1997. Dr. Corriveau enjoys golf and travel. He is a devoted father to his two children, Trevor and Chloe. Dr. Corriveau is a member of the American Dental Association, the California Dental Association and the Monterey Bay Dental Society.